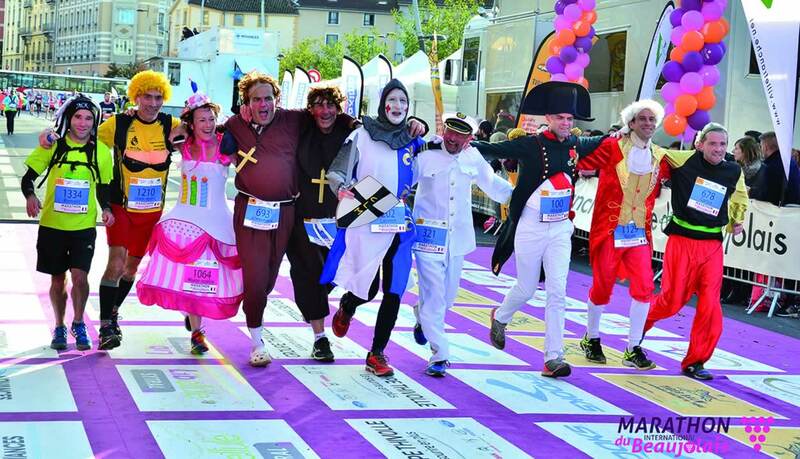 International Beaujolais Marathon: sport and fun surrounded by vineyards. 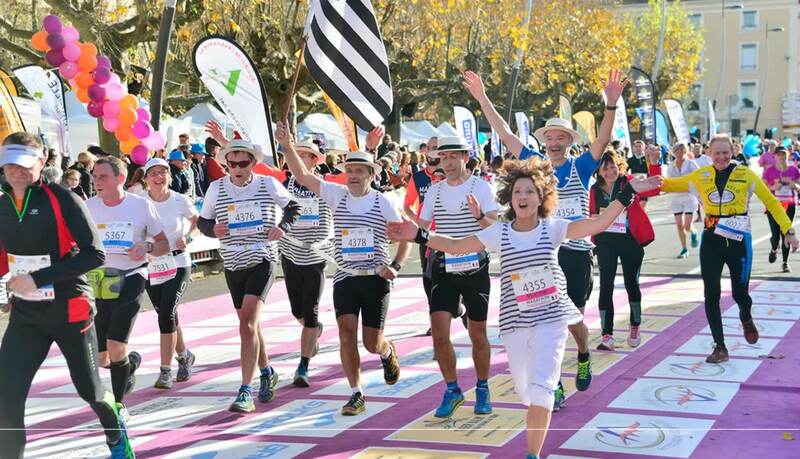 A pair of running shoes and high spirits — that’s all you need for the International Beaujolais Marathon! As ever, this year’s event means pushing yourself that extra mile in a fun and friendly atmosphere as you discover the vineyards of Beaujolais and learn all about the region’s wines. 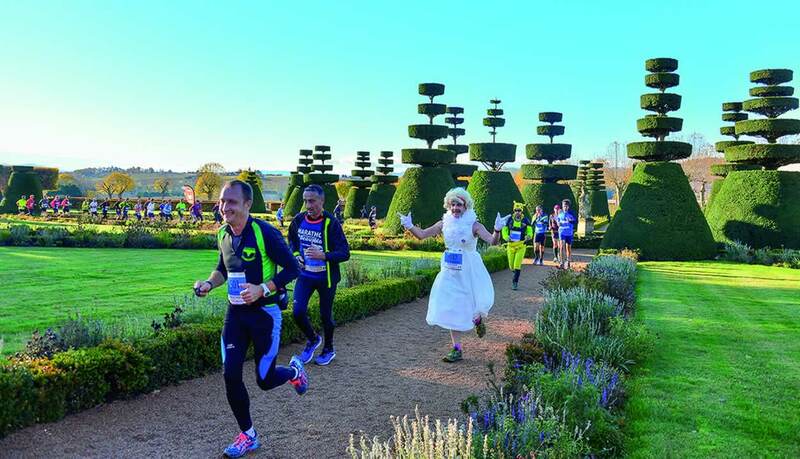 The programme for this great sporting and festive event — the largest in the Rhône region — includes a marathon and half-marathon amidst the vines and châteaux of Beaujolais; the 13 km du Rhône course in your very best fancy dress costume; and the Beaujolais Colors for a veritable explosion of joy and colour. To lift the spirits of runners and supporters alike, the entire weekend will be peppered with gastronomic and musical delights. It will be just as much for a host of wine-themed events. On your marks, get set — go Beaujolais!